It also includes foundational ingredients; CarnoSyn® Beta-Alanine, Citrulline, L-Carnitine & N-Acetyl-Tyrosine which are combined to make this a Gold Standard perfectly engineered formula. 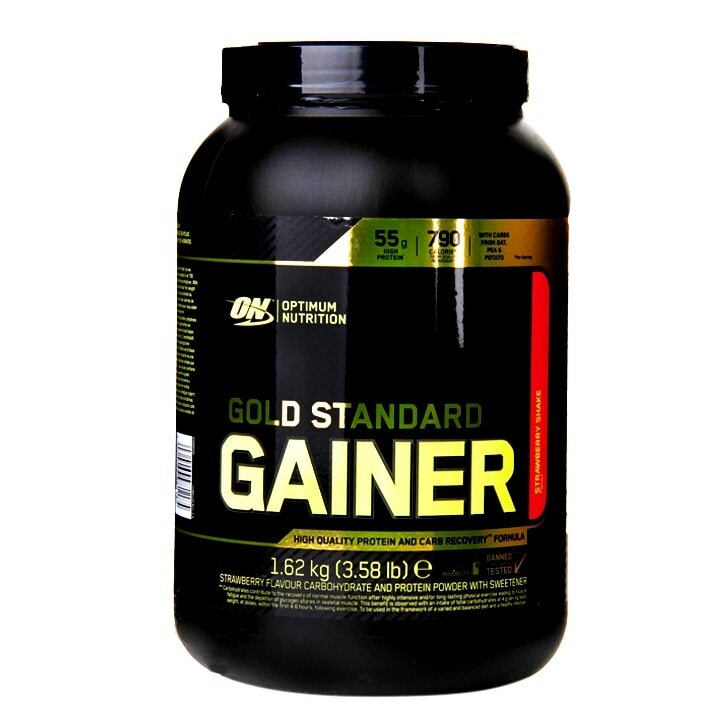 Optimum Nutrition has also raised the bar on flavour, setting the Gold Standard for both performance and taste. 205 g per serving (4 level scoops). Protein Blend (Whey Protein Isolate (Milk), Whey Protein Concentrate (Milk), Milk Protein Concentrate, Hydrolysed Whey Protein Isolate (Milk), Emulsifier: Soy Lecithin), Quality Carb Complex (26%) (Oat Flour (Gluten), Potato Starch, Pea Starch), Maltodextrin, Flavourings, Medium Chain Triglyceride Powder, Ground Flaxseed, Thickeners (Xanthan Gum, Guar Gum), Colour (Beetroot Red), Sodium Chloride, Acidity Regulator (Citric Acid), Sweetener (Sucralose). May contain: egg, nuts and peanuts.